Remember that tiny hamster indulging in a tiny burrito? Well, here's another hamster who proves that the little pets have rather diverse palates. 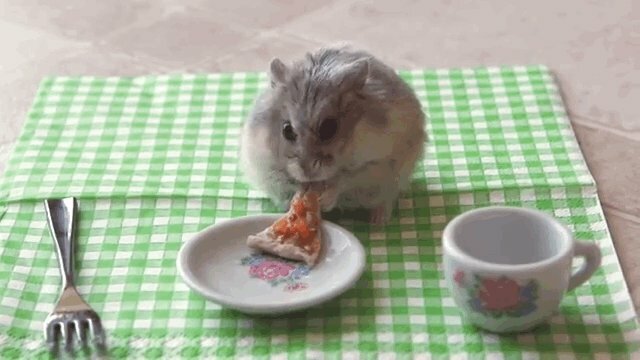 He's really into tiny pizza.